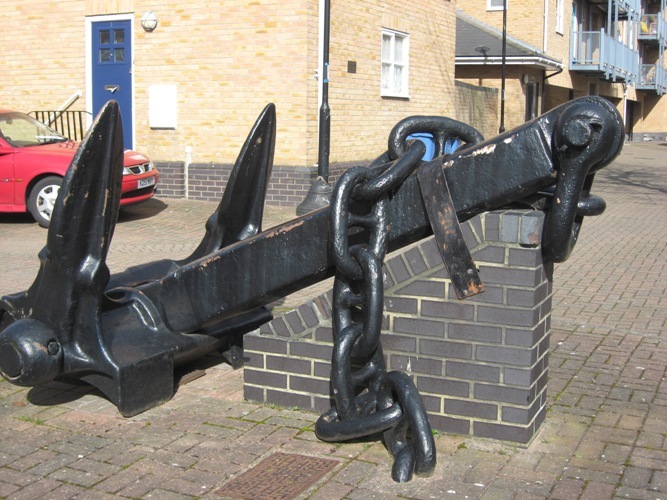 A Walk Round the Maritime History of Rotherhithe. 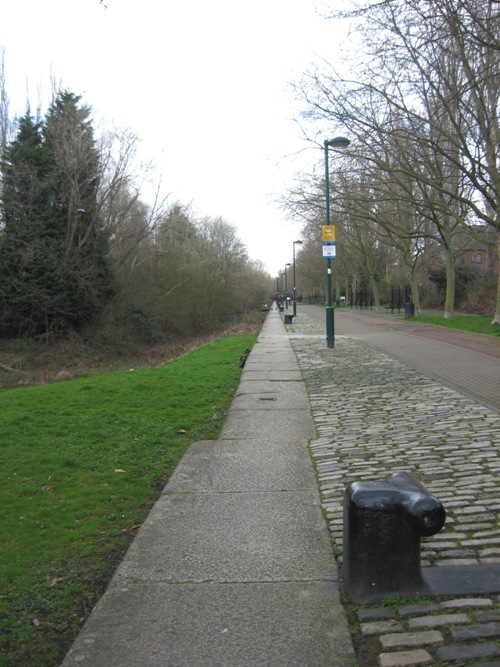 On Sunday 28 March, four of the Bermondsey FROG members went for a walk in Rotherhithe, to discover what can still be seen of its maritime past among the modern housing developments. In the forty years since the docks closed, the area has obviously changed out of all recognition, but we were surprised how much can still be seen of docks, bridges, cranes and other links to the sea. We followed two of the three excellent booklets by Stuart Rankin, Maritime Rotherhithe History Walk A: Transport, Industry and the Docks, and Rotherhithe then and now: Walk C. These were produced in 2004 and may still be available from Southwark Libraries. A third booklet, Walk B: Shipyards, Granaries and Wharves, is available online from Southwark Boroough Council’s website. The booklets include maps from the late 19th or early 20th centuries, backed by the walks outlined on current A-Z maps for easy comparison, as well as historic photographs. 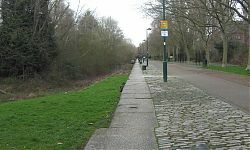 The best place for an overall view of the layout of the docks is probably the top of Stave Hill, an artificial mound near the middle of the Rotherhithe peninsula. At the top is a metal relief map showing the docks as they were in 1898 – the dock basins were conveniently filled with rainwater. We had already walked along what was once Surrey Basin, and worked out where Island Dock and Albion Dock opened out from it. To our north would have been several very large timber ponds, where imported timber was stored in the water. But our walk took us south through Russia Dock Woodland, where, amazingly, the old quayside, with mooring chains and the rails for hydraulic cranes, runs all the way to the old lock chamber into Greenland Dock. In the 18th century, Greenland Dock was used in the whaling trade, then later for importing grain, and Baltic timber. Greenland Dock and South Dock are still in use, as marinas and for watersports. It was strange to walk along the quay where in the 1930s the “A” class Cunard liners used to be moored. In the course of our walk, we looked at lock basins, hydraulic bridges and cranes, dolphins (the large metal kind), and the narrow streets of old Rotherhithe, where the warehouses have been reinvented as modern flats. We visited St Mary’s church, whose maritime connections include furniture made from the timbers of the “Temeraire”, and saw two other churches, the Norwegian and the Finnish church, both here because of the many sailors from the Baltic who used the docks. 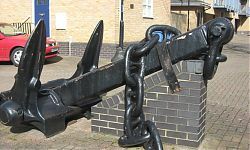 There is just so much history in the Rotherhithe area, and so much of it connected to the docks, the river and the sea. We felt we’d had an excellent day’s walk and learnt a lot.